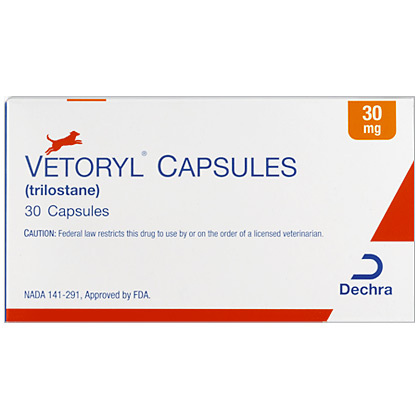 Vetoryl is a prescription medication used in the treatment of hyperadrenocorticism, also known as Cushing's Disease, in dogs. Cushing's Disease is a condition where too much of the hormone cortisol is produced. Trilostane is used for the treatment of hyperadrenocorticism, also known as Cushings Disease, in dogs. Trilostane is a treatment for this disease it is not a cure.